Tap and slide the rhythm of over 70 tracks from the FINAL FANTASY series while joining forces with iconic characters and facing off against memorable monsters and villains. Unlock unique items and deeper challenges in three exciting game modes, as you help restore the Music Crystal to its former radiance! 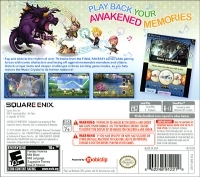 04-23-2015 puddingm Box Text PLAY BACK YOUR AWAKENED MEMORIES Tap and slide the rhythm of over 70 tracks from the FINAL FANTASY series while joining forces with iconic characters and facing off against memorable monsters and villains. Unlock unique items and deeper challenges in three exciting game modes, as you help restore the Music Crystal to its former radiance! 05-31-2013 desocietas Box Text PLAY BACK YOUR AWAKENED MEMORIES Tap and slide the rhythm of over 70 tracks from the FINAL FANTASY series while joining forces with iconic characters and facing off against memorable monsters and villains. Unlock unique items and deeper challenges in three exciting game modes, as you help restore the Music Crystal to its former radiance! 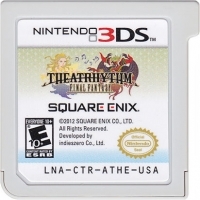 This is a list of VGCollect users who have Theatrhythm Final Fantasy in their Collection. This is a list of VGCollect users who have Theatrhythm Final Fantasy in their Sell List. 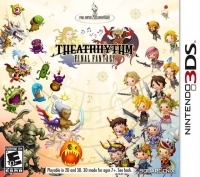 This is a list of VGCollect users who have Theatrhythm Final Fantasy in their Wish List.